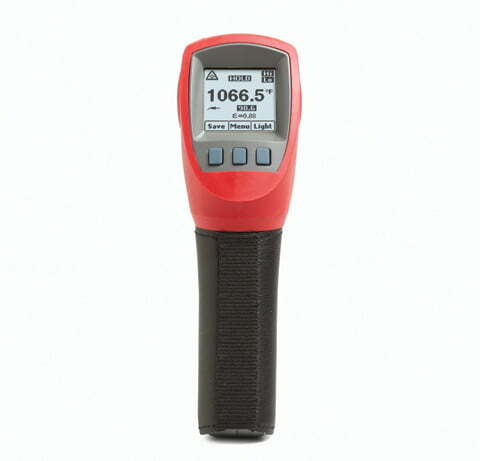 Intrinsically Safe Infrared Thermometer Ecom Fluke 568 EX certified ATEX Zone 1 and IECEx thermometer easily measures hard-to-reach objects. It can measure moving materials accurately. 6 languages available and can log up to 99 points. 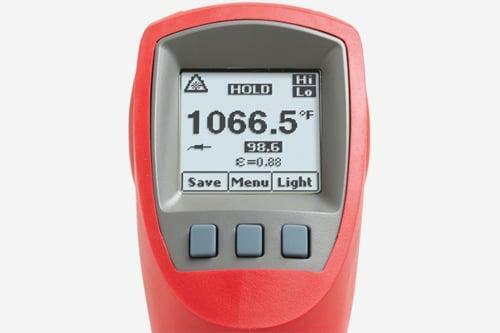 Allows hazardous area workers to measure temperatures in hazardous areas. 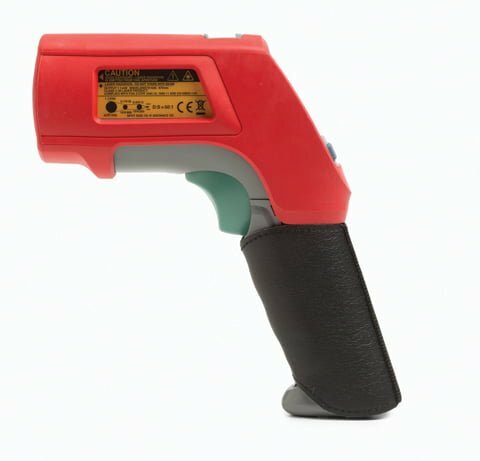 Check out the Intrinsically Safe Infrared Thermometer Ecom Fluke 568 EX certified ATEX Zone 1 and IECEx thermometer that uses infrared to remotely measure temperatures from afar. It's pretty convenient and very useful if you are working in a hazardous environment with a long range and hard to reach target temperatures. The rugged yet ergonomic design makes it the perfect device if working in harsh environments. You can also use this thermometer to capture and recall up to 99 values at one time. 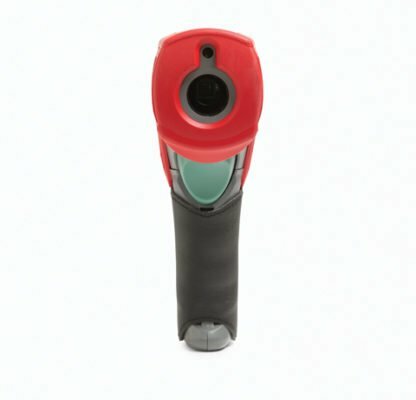 The adjustable emissivity feature allows you to take readings from a range of different materials during your round thanks to the integrated material table. When we talk about safety in places where mistakes cannot be forgiven, that's what Ecom instruments are all about. 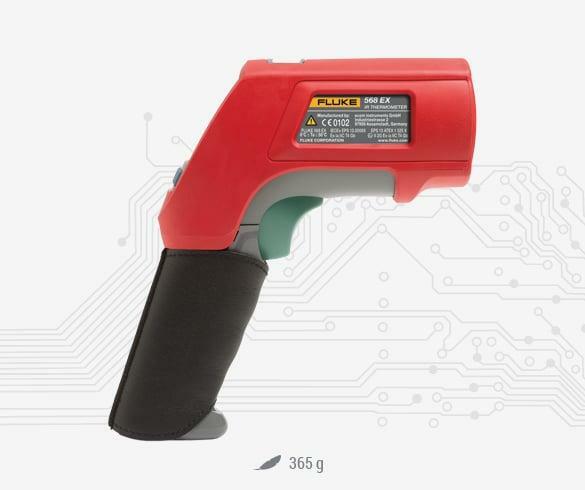 Considered as a leader in mobile explosion protection, you are always safe using their instruments just like the Intrinsically Safe Infrared Thermometer Ecom Fluke 568 EX. They always set new standards and create new opportunities using German engineering, skills, and patents, just as they've been doing for decades. 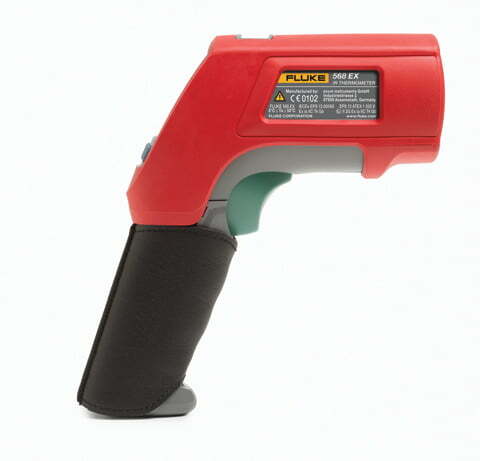 Intrinsically Safe Infrared Thermometer Ecom Fluke 568 EX certified ATEX Zone 1 and IECEx thermometer that has a precise measurement with accuracy infrared to remotely measure temperatures from long range moving objects in a hazardous area. As a worker, I feel really safe using this device. It’s rugged yet easy and convenient to use.